Not content on the hunt for the 8's? Want to go a little quicker? 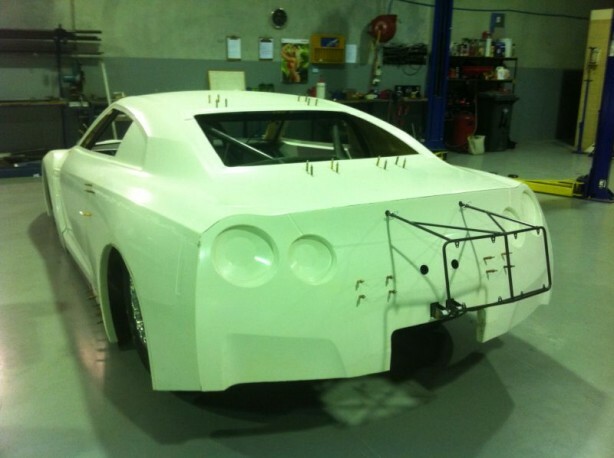 ITP Racecars in Perth, Australia has been putting together a three car Nissan GT-R race team. Starting with a tube frame, and carbon fiber body, the text from Haltech says the driveline is a secret. However, over at NAGTROC, it was pointed out that an inline 6 engine is clearly visible. So it seems like an RB26 or RB30 based engine will be the choice. There has also been some talk of another Nissan inline 6. Nissan has a 4.2 to 4.8 liter inline 6 called a TB42-TB48 from the Nissan Patrol, so there is a chance that one or more of these cars might get a TB engine. In this kind of racing, 6 second passes are the goal, as the 2JZ cars have gone mid 6 second at over 210 mph in the US. Inline 6 cylinder engine is visible in the chassis. Aaron Gregory is proud to unveil his latest project, a brand new truly intimidating three car R35 GTR Outlaw Racing Team! 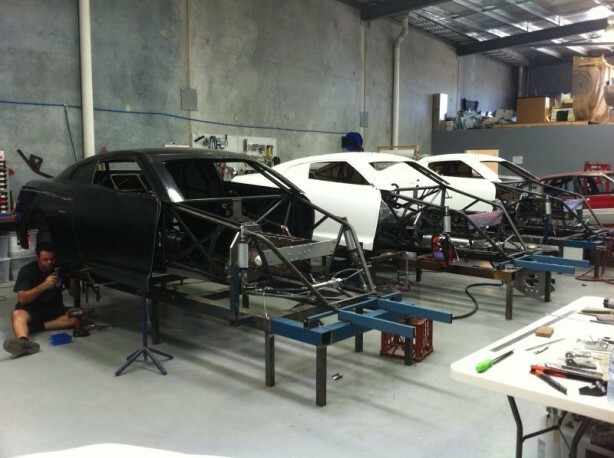 Perth based ITP Race Cars has secretly been building not one, but three full chassis drag cars simultaneously, all clad in the world’s first smoothed and improved carbon fibre R35 GTR body. With all three cars rolling out of the chassis jigs, the boys at ITP are working madly to get these new 10.5” tired Sports Compact Monsters ready for the teams debut in “Pro Turbo” and “AA/SC” brackets. All driveline specs for now are still a well kept secret, but we can confirm that the Haltech Platinum Sport 2000 ECUs and a truckload of Racepak gear has already been shipped to WA. With the first of the three cars already delivered, the final 2 cars are now at the paint shop with Aaron pushing to have them ready for presentation at Jamboree 2011! I would say that a 2JZ would be a possibility. 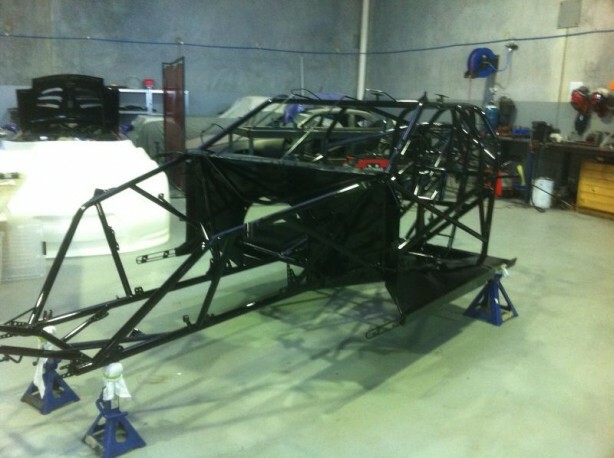 Supposedly the owners of the cars have contacted AMS about one of their engines. 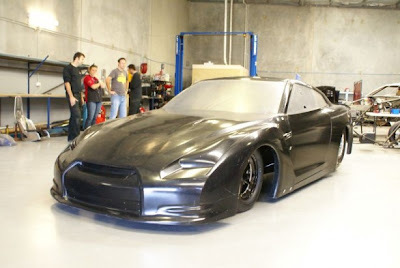 9.0@166 mph in a GT-R, and 1356 AWHP right now for AMS.